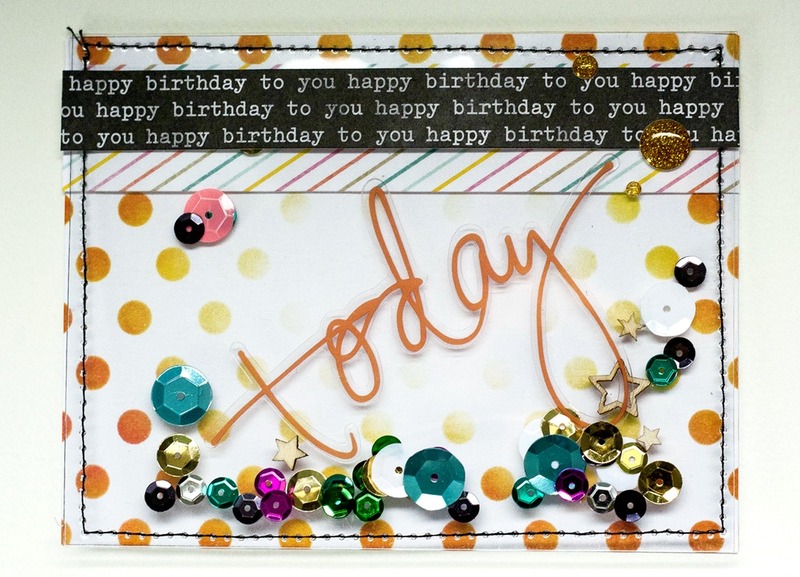 I made this card for the wednesday challenge at SSS, I love using acetate to make clear details on cards. This time I made the whole front clear with sequins and wood stars in between and also a clear word fom Heidi Swapp. I really like how this card turned out. 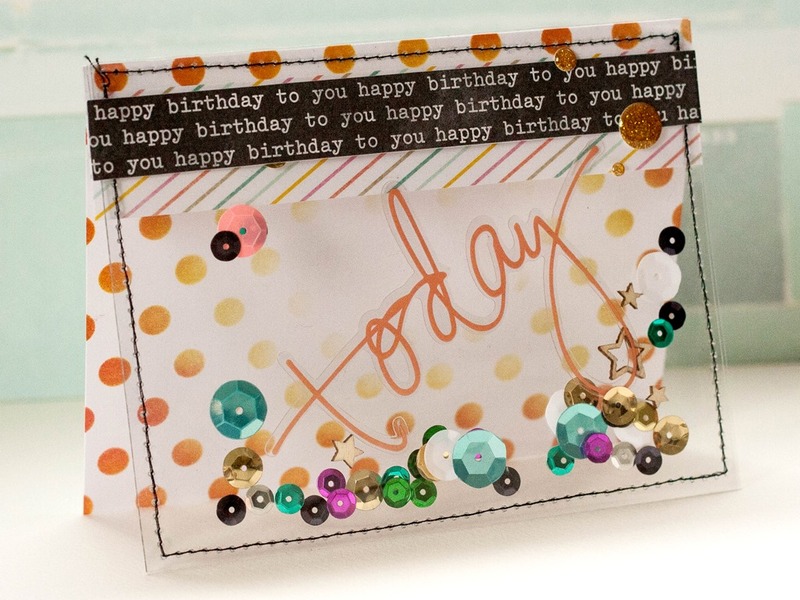 I added some strips of Pebbles paper to have something to write under, the polka dots are stenciled on the inside of the card. Very fun! I love finding challenges that inspire me, and this card wanted to be made. i had the idea in my head for two days before getting a moment to make it. I also made a LO for the weekly sketch at Studio Calico, it’s coming up next. Two post in one day! Yay! 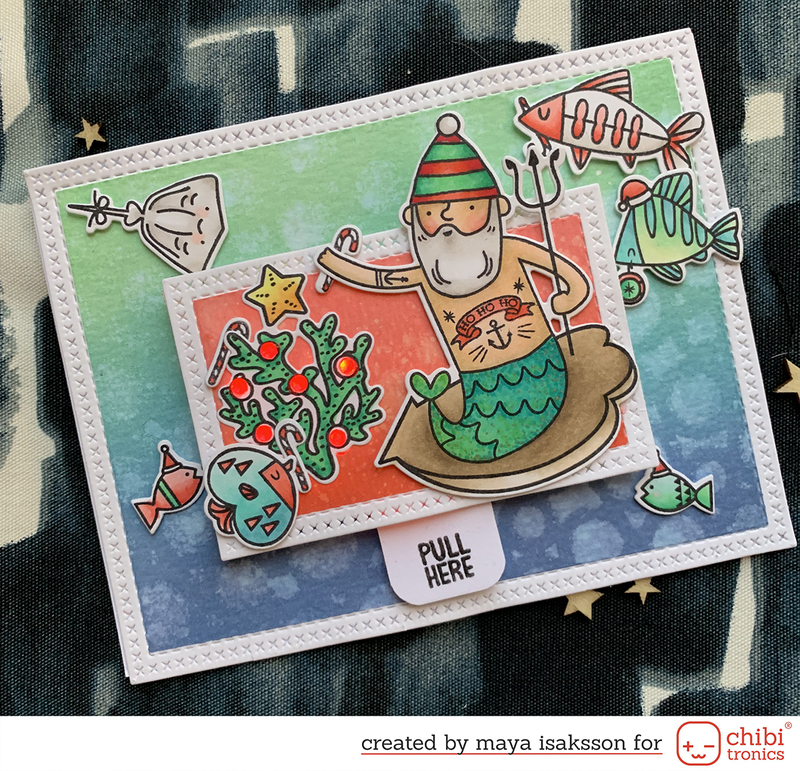 what a gorgeous card, Maya, the pocket with sequins is a lovely idea! thank you for joining us at the Simon Says Wednesday Challenge Blog!